This intimate project, renovated farm dating back to the 18th century that has been preserved and totally renovated. 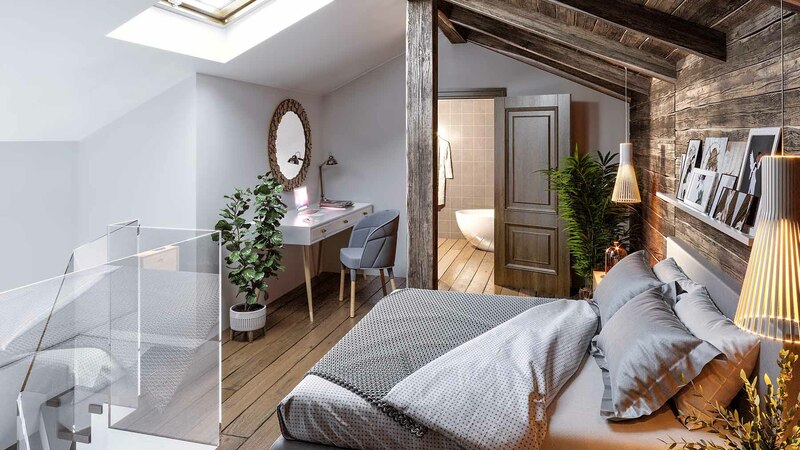 Spread over three levels, called La Ferme de Morz’na, is made of eight apartments, ranging from 84 to 152 m² and ranging from three to four bedrooms. 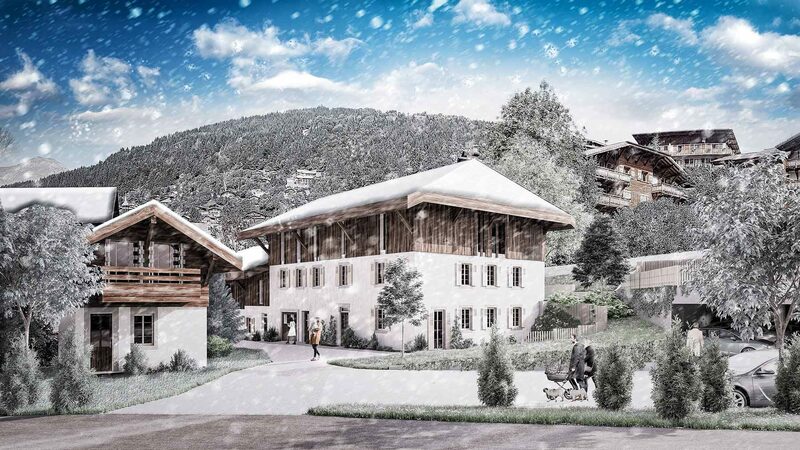 Located at just 150m from the resort centre, its shops & restaurants, this new three-bed triplex apartment for sale benefits from an easy access to the slopes thanks to a free shuttle. Each apartment benefits from parking, a cellar and exterior space (a balcony, terrace or a garden). Delivery Q3 of 2020. 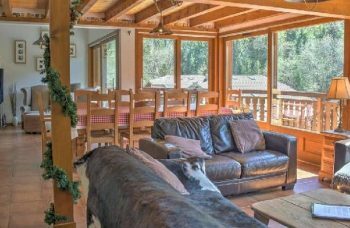 Discover these family apartments for sale in the dual-season resort of Morzine. Morzine, the largest village in the Portes du Soleil ski domain, attracts both tourists & investors thanks to its authentic village atmosphere, with its slate roofs and charming buildings. Become the owner of an exceptional apartment, in a renovated farm dating back to the 18th century that has been preserved and totally renovated. 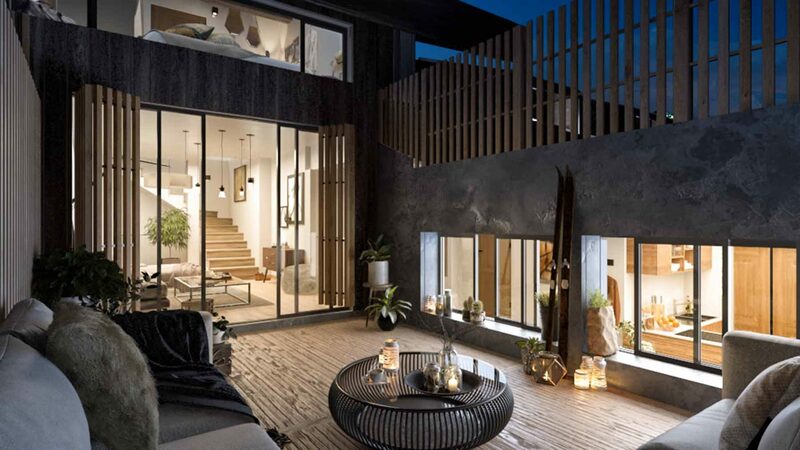 Spread over three levels, this new-build project is composed of just eight apartments ranging from 84 to 152 m² and ranging from three to four bedrooms. Each apartment benefits from parking, a cellar and exterior space (a balcony, terrace or a garden). 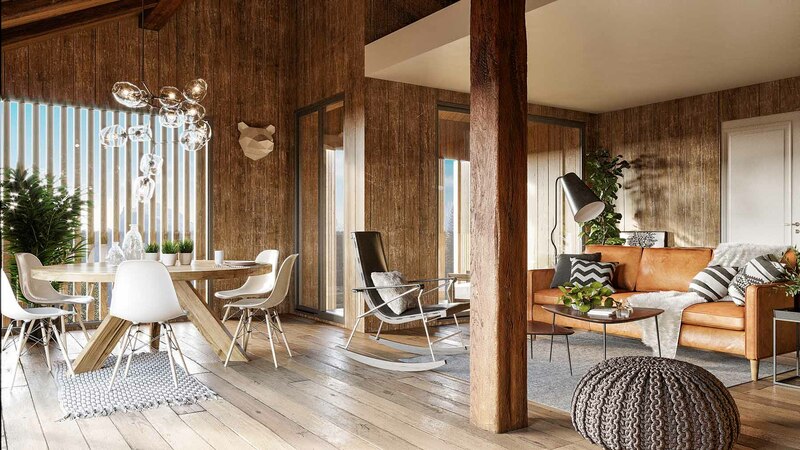 All duplex or triplex, the apartments have spacious living areas with wood stoves and fully-equipped kitchens, and most of the bedrooms come with en-suite bathrooms. Some of them even boast mezzanines or entertainment rooms. 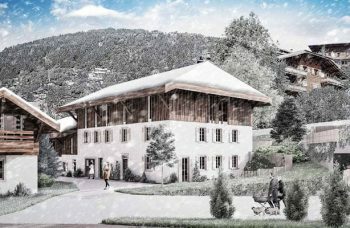 The exteriors will respect the traditional Savoyard architecture of Morzine and will be in line with the original farm that was here. Apartment 3B; 3 Bedroom Triplex, First, Second & Third Floors. 90.70 m², 14.6 m² <1.8 m. 6.7 m² Terrace, 2 Exterior Parking spaces. Morzine is the biggest village of Les Portes du Soleil, one of the biggest ski domains in the world with its 650km of interconnected pistes spread over 12 resorts in Switzerland and the French Alps. Therefore, it is no surprise that high-end properties are in demand here. 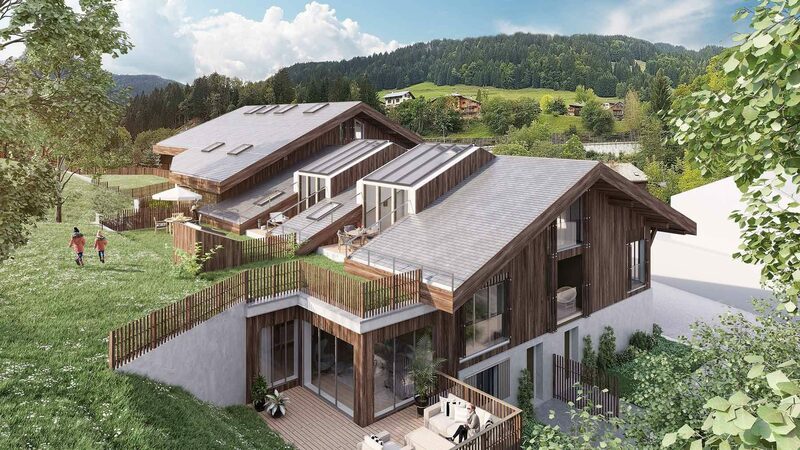 To add to this, new-build projects in Morzine are almost unheard of. 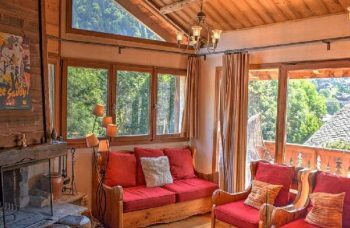 In the village centre and at 800m from the ski lift that will take you to the best pistes in Avoriaz, these properties have it all. 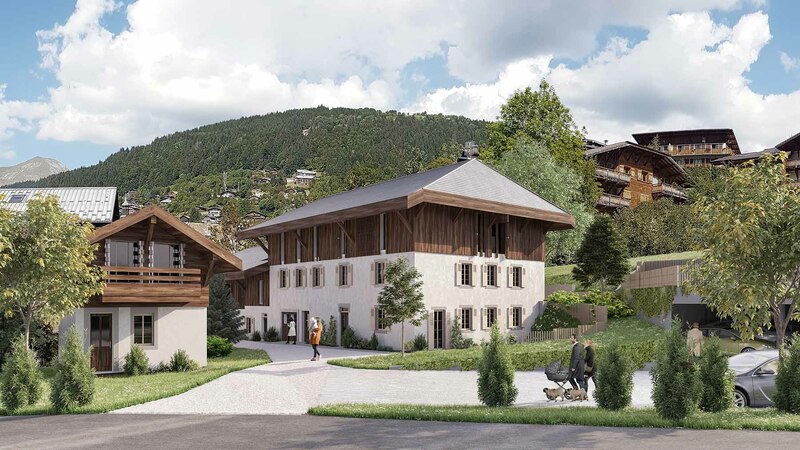 Close to the famous ice rink, the charming church and the communal swimming pool, the apartments will be ideal to enjoy the village’s incredible nightlife and delicious restaurants after a day on the slopes. 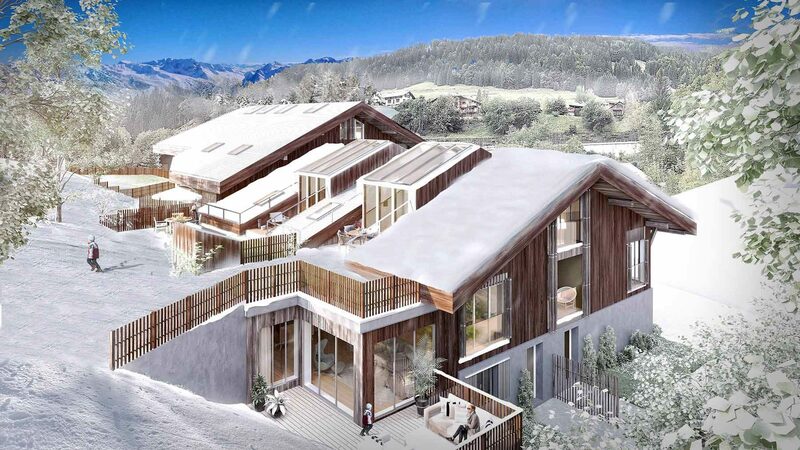 Prices in Morzine can vary from €8,000-€12,000 per m² depending on property location and quality of finishes. 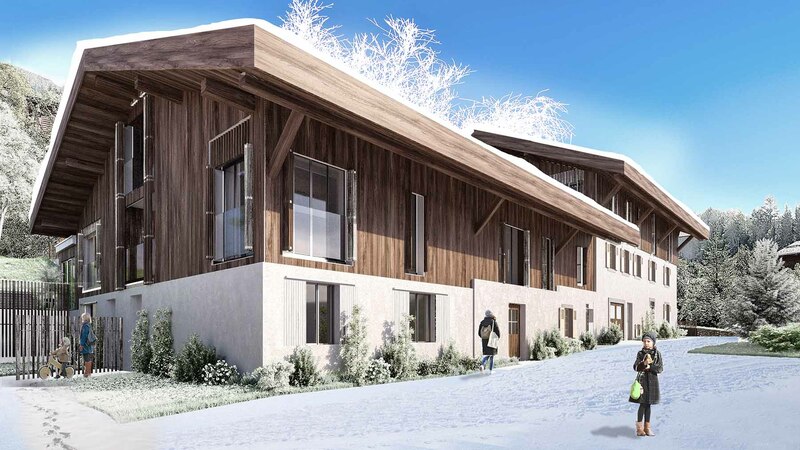 This new-build project is well-positioned on Morzine’s real estate market with an average price of €9,000 per m². With new-build projects being rare in the resort centre, and with spacious interiors and exterior space, this is an opportunity to be seized. Ideal for a family, these apartments will also be suitable for investors seeking good rental yields throughout the year. Indeed, the charming village is well known for its dynamism in winter and summer, guaranteeing regular rental yields all year. Morzine is the biggest and most well-known town in Les Portes du Soleil. With a perfectly maintained landscape and close proximity to Geneva airport, Morzine is a popular choice for many. With 3,000 year-round residents, the village was initially developed to not be just a winter ski town, but to take advantage of the various opportunities that the area offers. Given the low altitude of the region, it was a very wise decision. During the summer, the ski lifts bring hikers up the mountains, the trails are filled with cyclists and the lakes welcome a lot of swimmers. The winters are equally busy, as the village acts as a capital for the 650km of ski slopes of Les Portes du Soleil. Aside from activities, the restaurants are world class and varied in cuisine, and the range of shops is wide with supermarkets, small boutiques, bars and nightclubs. The streets are easy to navigate and the town is generally great for families. The area is also seeing an increase in après-ski activities and nightlife. 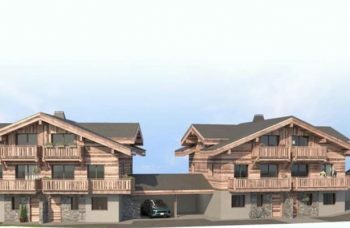 A fantastic location in the old quarter of Morzine for this small project of 8 apartments in an old farmhouse. Close to a Bus stop for the ‘A’ Bus to Prodains telepherique and Morzine centre or Pleney & Super Morzine ski lifts. Easy walking distance to town. A busy traditional French Alpine town and an important central hub for the surrounding areas with access to 650km of pistes.